Sure our beloved country don’t have any sea to swim in but it sure is full of beautiful mountains that nature has to offer. There is Mt. Rtanj which is my most favorite of all, Kopaonik which is a well-known ski destination all over the world and of course Mt. Zlatibor which is probably every Serb’s summer getaway. There are a few ski tracks in Zlatibor but it is more famous for it’s “Golden” summer color. People flock to Zlatibor to get away from the city’s heat and of course to feast on the beautiful scenery of this place. Aside from the view, there are lots of activities and side trips to choose from. With just a bit more than 200 kms from Serbia’s capital, Belgrade, this trip is surely worthwhile. I visited Stopića Cave and The Sirogojno open-air museum and I must say that I will regret it if I didn’t visited these two places. Besides the cave and the museum, there are still a few places to visit the next time I come to Mt. Zlatibor. The Gostilje waterfall and Ribničko Lake. 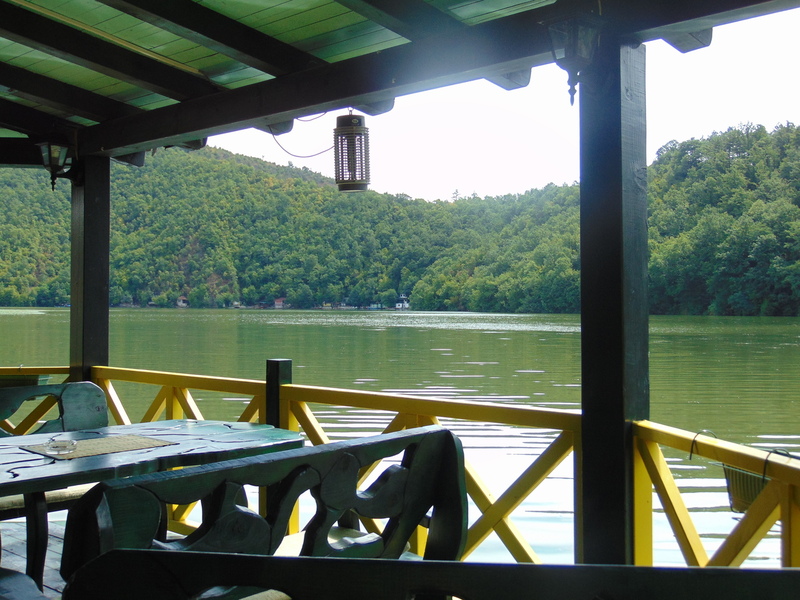 We dropped by this floating restaurant on the way to Zlatibor. 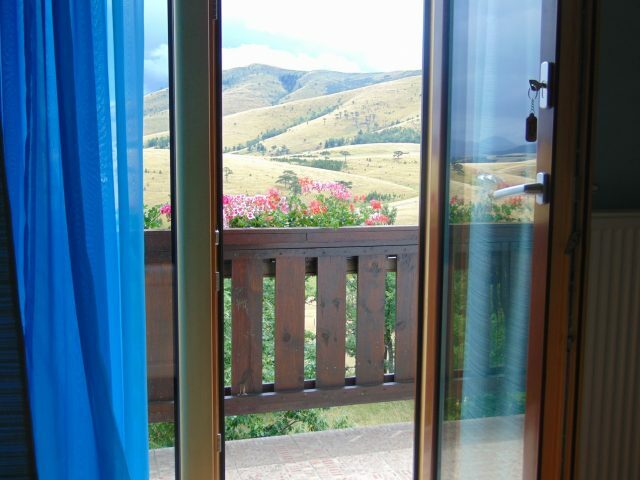 The view in Zlatibor is certainly breathtaking. There are a lot of hotels and apartments to choose from. Most of them you can actually book in AirBnb and Booking.com from $10 to $100 per person. I found an apartment which is absolutely beautiful and affordable and I can’t be any happier with my choice. The place is not perfect, but I forget about everything the moment I stare at the window. In the center of this tourist destination, there are a lot of restaurants and fast food stands to choose from. I’m a big fan of traditional Serbian cuisine (sarma, prebranac, goulash, mučkalica etc.) and unfortunately I didn’t came across too much restaurants serving these kinds of food but there are a lot of grilled meat and other serbian delicacies. The most recommended restaurant in tripadvisor is the Restaurant Perun located in Hotel Mona so I had to try it. And true to the reviews, the restaurant was excellent. The Interior design is very elegant and the food is very good. The prices are just a bit above average but definitely worth it. Nobody can’t go to Zlatibor without trying the infamous Komplet Lepinja (insert picture of komplet lepinja) It’s bread with kajmak and some fat drippings from roasted pig (kindly correct me if I’m wrong). I bought my lepinja from one of the small huts on the street, but you can also order “the sandwich” from restaurants. 😉 There are also Belgian waffles and some Palačinke being sold on the streets if you’re looking for a quick fix. One thing is for sure in Zlatibor, you will never go hungry. 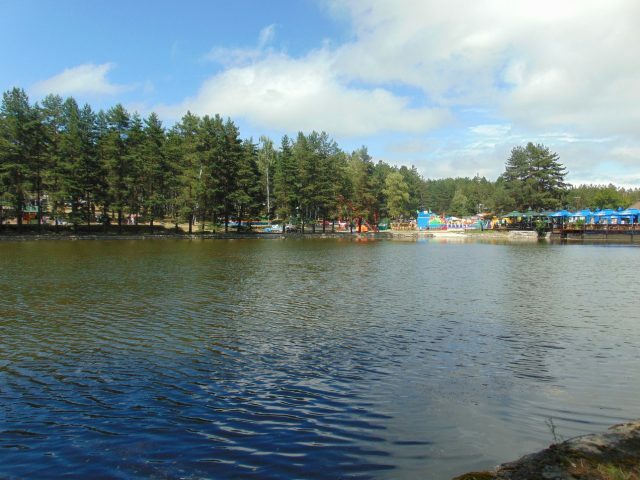 If you’re looking for adventure, there is an adventure park right in the center of Zlatibor, near the local market. If you go right from the market, you will find the trains which travels in two routes. One, I believe is just going around the center of Zlatibor and the other one will take you to Ribnicko lake. There are also bus rides available going to the nearby Mokra Gora and Drvengrad. Beside the lake, you can find the usual activities like zorb balls and pedal boats for rent. 7 kms from the center is the Ski center Tornik which is now open during the summer too. Also, out of the center is the awesome Stopica cave, Sirogojno museum and Gostilje waterfall. Hey, nobody can say they got bored in Zlatibor. Our trip took 4 days and 3 nights which is definitely not enough to see the whole place but we will surely be coming back and back and back to Zlatibor.